What was once explicitly taught and instilled often only needs implicit, suggestive support to perpetuate. If I tell my daughter a hundred times, “Daddy loves ice cream!”, and then every week after I say, “Let’s go to Leatherby’s and get Rocky Road”, she will reasonably understand that as a continuation and extension of my original statement. If I tell my son a hundred times, “Mommy loves breakfast in bed on Saturday mornings, and I love doing it for her”, and then later say on a Saturday morning, “Let’s go cook some eggs for her”, he will understand the latter in light of the former. But if I later said to Lydia, “Daddy doesn’t love ice cream, he likes to get out of the house”, or to John Caleb, “I only cook breakfast for her to appease her petty desires” (not true, of course), they can reasonably respond, “Even though you weren’t explicitly repeating your original statements, we had every good reason to believe you still believed them, and were operating on those beliefs.” But why? What was once taught by explication often only needs to be perpetuated by implication. What was once in your hands is often later simply in your pocket. What was once bluntly stated need only later be euphemized. What was once admitted need only later be suggested. This is largely how Mormon theology perpetuates. 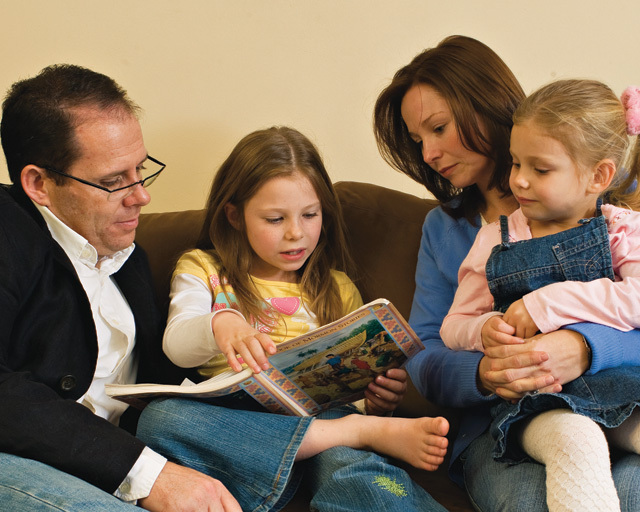 Mormon tradition is a powerful vehicle with tremendous momentum. This is why prior statements by LDS leaders must be explicitly renounced. This is why real repentance in persons of influence in Mormonism requires confession and repudiation. This entry was posted in Authority and Doctrine, Uncategorized and tagged Mormon Doctrine, Mormonism. Bookmark the permalink. It seems there is enough logic to remain credible. There’s enough to warrant the acceptance by many. There’s enough sensibility to make it all come together. And there’s certainly enough to allow the emotional pull of the feel good program to overcome any faulty logic. They are able to move from one position to the next without having to explain the previous position. This is remarkable, actually, to accomplish without backlash from their own people. What people have put faith in can be uprooted immediately, and they will follow without question. I do wonder what would happen if tomorrow Monson made a revelation about, say, polygamy, allowing it in the church again. Would you start to see a plethora of plural marriages? Or, would people be offended and leave? That’s not how it would go down. Eventually, plural marriage will be made legal in the US. And the church will eventually let mormon polygamists back in the church. It will happen very slowly and quietly. There will be no announcement. There will be instructions given at the local level and stake level that they will be allowed to re-baptize polygamists if they wish to become members. Gradually, as members accept them into the fold, the church will see how many start practicing it again till it becomes a non issue. Then they will come out publicly and support it by leaving it up to “personal” revelation whether or not a family wants to live the doctrine laid out in section 132. It will be so gradual that no one will know it happened. I don’t know if it will happen in my lifetime but then again I never thought I’d see a black president or gay marriage in my lifetime either. The church already has done this with the homosexual movement. It is trying to stay “relevant” while still appeasing the old guard Mormons from the Kimball era. I asked my dad if he thought kimball would approve of what the church is doing now regarding homosexuals. He really couldn’t answer me. Just seeing how the church reacted to the BSA decision this year tells you all you need to know. My dad stopped supporting the BSA and yet he still supports the church. Here is where Mormons are logical and rational about everything in their lives except their religion. It’s amazing how they can’t see it. I believe you would see a plethora of plural marriages. Every LDS woman I know talks about not if, but when polygamy is reinstated. They would follow their prophet no questions asked. Falcon had an LDS man tell him he would kill if the prophet told him to. It is so mind blowing to me how the LDS on this site cannot see what is right in front of their eyes. Most LDS I know aren’t researching Mormonism, they just take what is spoon fed to them by the church so I understand that they don’t know about some of these issues. It’s fascinating to see the LDS who do know the issues, all the craziness trying to defend it. Once I was aware of it all, I could not in all honesty defend it. God helped me to see it for what it was, I’m so thankful for that! I was just thinking to myself about how something like the Adam god doctrine seems to be something that was easier to abandon than the doctrine of polygamy. I’m wondering if it has anything to do with the fact that polygamy is a doctrine and a practice, where Adam god is just a doctrine, nothing else. People today in the church have a hard time explaining or understanding the practice of polygamy when just a few generations before, the members understood very clearly the doctrine. The Adam god doctrine is usually just explained away as something nobody even needs to address or know about. Probably cus nobody can trace their lineage back to it like they can with polygamy. That you both give such radical answers only makes me more curious as to what the true response would be. The funny thing is that I could see either scenario being the case. And the one thing missing from both is a large uprising from the faithful. It seems few would truly object. My wife jokingly says she’s ok if I get me a sister wife. She told me “someone else can care for you while I finally get some alone time”. Hahaha. Poor girl is surrounded by all boys in our house. I think there will be a split down the middle of women who are for or against polygamy if the church openly came out for it. That’s why I believe the church will reintroduce it gradually until it becomes acceptable again. Then make an announcement after doing some internal polling and looking at the numbers. Then you’ll see some new PR campaign with a guy and his wives and all their 30 children playing together in some park. It could be the new “I’m a Mormon” ad! Plus, the acceptance of polygamy has already begun with shows like sister wives and big love. The church should he happy cus those shows are doing all the heavy work for them. I base my opinion by looking at what the church has done in the past. All we have to do is see how it has handled controversy with issues such as blacks and the priesthood, temple rituals, and most recently with the BSA and homosexuals. The church waited till all the hullabaloo on civil rights had blown over before deciding to change its doctrine on blacks. They did the same when they removed the rituals in the temple. They did internal polling before they changed anything. This also happened with the BSA. I used to work for the scouts, and many church members were internally polled about what they thought about the topic. The church does this all the time and we know they do it from things like the new “school of prophets” email that was sent out in Sweden. That email alone is proof of how the church operates. It’s just a bit more disturbing because now the apostles don’t even have to deal with the “spin” directly anymore. They just get others in PR departments and secret “strengthening the church” type committees to do it for them. The church is not an anchor at all like it claims to be. It holds it’s finger high, sees which way the wind (and money) is blowing, and then it sets sail in that direction. You can also see this with campaigns like “tattooed mormon girl”. This type of narcissistic drivel would never have been given the light of day 20-40 years ago, but today it’s on every Mormon moms Pinterest page. To see where the church is headed culturally, just look at Mormon women on Pinterest. It gives you a frighten insight into where their hearts are. Hahaha! I’m surrounded by all boys too. I grew up that way as well, four brothers no sisters. I used to say I could use another wife to help out with the kids and the cleaning, it was my husband who said not a chance in Hades! I think I gave an answer from the members point of view and johnnyboy’ s answer was more on how the church would bring it about. I can see the church being sneaky about it and even denying it in public while it is secretly practiced ( even Joseph Smith did this) I believe most of the membership would do whatever they were told to do. Some would leave, most would comply. If it ever becomes legal in the US, I can also see the church reinstating it openly and members practicing it. That may destroy their missionary efforts though so who knows. Remember, the LDS church already practices polygamy every day in their temples. It IS being practiced NOW. So much for claiming it’s an abomination to God. How can it be an abomination to a God who is himself a polygamist? How can it be an abomination to a God who wants his children to become Gods themselves, having all he has including many wives to populate their world’s? What’s really sad is, people like fof, and shem and others like them either know this and ignore it and claim its us that are clueless. Or they really don’t know and don’t want to either. johnnyboy, I think you pretty well nailed it . I wonder if the possibility of such change, evolving change or sudden change even crosses their minds. We can honestly look back 100 years ago, 1000 years ago, and even 2000 years ago and say that our faith is consistent. Sure, some schisms have arisen, and not all of us agree on every point. Speaking in tongues is a great example. But speaking in tongues does not change who we all think God is and how He saves us. From what I can tell, no one in Christianity thinks works save us, or even puts our salvation as conditioned upon works. We all agree on the Trinity, though we might describe it slightly differently, the essence is the same: one God, three parts, three manifestations. We all agree on who and what these parts did or do for us on a daily level. We can go back through history and find that there is a consistency in our beliefs. The LDS cannot do this in its mere 180 years of existence. And it could change again tomorrow. I read through Aaron’s discourse on plausible deniability, and I think he touches on an important point: the LDS do not have a single way with which to define what is the truth of their faith. Such a mechanism does not seem to exist. This allows for the meandering line of logic they use to justify their current positions, and how they dispose of problematic past positions of its prophets. I am reminded of the Bible’s warnings to watch for those who will blow with the wind and bob in the sea, going wherever the flows take them. This is precisely what JohnnyBoy is describing above. Its also easy, at least easier than taking a stand and sticking to prime beliefs. I’m honestly not sure what LDS prime beliefs would be, short of them believing they are a restored version of the original, true church. But what that original, true church was, I cannot say. What the LDS say they believe now does not always jive with what they have always said. This is why I am confused as to what they really believe, not to mention that their positions don’t stand up to logic, scrutiny, nor plain common sense. The silence of the Rams is deafening on this subject. The Mormon intellectuals are needed to explain this subject. I have been studying the Endowment Ceremony and I am overwhelmed by the fundamental aspects that are still (Over 100 years) presented in the Temple. How the defenders of Mormonism can maintain traditional concepts/doctrine/culture in a radically changing world is a huge problem for the multigenerational family structure. The Temple experience clearly teaches Michael as a god who is identified as Adam but this god is not Elohim (It’s the co-creator with Jesus named Michael), so they say that they deny that they believe that Adam is God. Adam and Jesus are only A god not God the Father. It’s is just as easy to define polygamy as living in a suburb/stake/ward, neighborhood, PTA, and BSA. We are all sharing our lives in the new big family, perhaps this is the new polygamy. We just need gates in the backyard or shorter fences. The people will accept anything as long as the Mormon culture promises hope and structure and it only costs the average family $3,000.000 dollars. 10% gross of after tax $ @$60,000 for 40 years. Do the math! No Inflation! Kate, somehow, I missed your last post yesterday. I do think it is an open answer there, and what both you say is plausible. I agree the church will not likely make it a single moment in terms of a revelation. There is a good chance it will slowly allow it to happen, and once it is more acceptable, it will reveal its decision. But, I only use that as an example. The issue could be most anything. The leadership has not received a revelation of import in decades. I am not aware of one since the allowing of blacks to the priesthood. I stopped attending church 6 years ago and things have changed even in that short amount of time. Who knows what the leaders of the LDS church would do. I do know that the Mormons I know are preparing for a day when they will practice polygamy. My friend asked me one day why her husband couldn’t just change the woman’s wagon wheel, why does he have to sleep with her too. That of course is going back to Brigham Young and the move West. All those poor widows ya know. We seriously believed polygamy started with Brigham Young and the only reason it was practiced was because there were so many widows and in those days a woman couldn’t make it without a man. I never knew Joseph Smith was a polygamist until I was 38 years old! I know women who are married to inactive, uninterested men and they are biding their time waiting for the day they die because God is going to give them to a righteous man in the celestial kingdom as a polygamist wife. It’s all so bizarre! I want to slap them and make them take a good look at the awesome men they are married to NOW. One woman told me she doesn’t want her husband forever. She thinks God is going to give her something better. Tell me this is mentally healthy. This is the kind of brainwashing I see, that’s why I said you would see a plethora of plural marriages if Monson gave a revelation allowing polygamy back into the church. Inactive men would be given an ultimatum by their wives, either get with the program or she will marry someone else as a polygamist wife. Gee, didn’t that happen when Joseph Smith started polygamy? Yep, with my own great, great, great, great, great Grandmother. Julia Hills Johnson, she ditched my Grandfather for father Smith (Joseph’s father) Like I said, bizarre. I never bought into the whole polygamy thing even when I was LDS. How do you get past this with a Mormon? They have a mantra that I hear over and over ” The church is perfect, the people aren’t.” No matter what I say or show, this is what I get. This includes prophets and leaders, they are people so therefore imperfect, but hey, the church is perfect so it doesn’t matter. I had decided to just ignore it all and live my life but then my Pastor gave a sermon on sharing Jesus and he said we may as well be telling people to go to Hell if we don’t teach who He is. Have you ever gotten past plausible deniability and shifts in emphasis with a Mormon? Kate, I am stunned to read your comment that you didn’t know about Joseph Smith’s polygamy until you were 38. It makes me wonder what my Mormon friends do know about their faith. I guess in line with your question in your last post, what should I as someone who is learning about these things share with Mormon friends? I have always just assumed that they know about the “unsavory” aspects of their church, but now I wonder. Btw, I believe all of my Mormon friends were born into Mormon families, none are converts. Not sure if that makes a difference or not. Is there some information that someone could have shared with you (from LDS sources, I guess) that would have made you question Mormonism earlier? I was born into it. Both sides of my family are LDS. I used to believe that it was worse somehow for those of us who were born into it but grindael was a convert and it was just as hard for him. I think it’s harder for those that really get sucked in and it becomes their whole life. Either way it’s a hard thing to go through. Polygamy isn’t what started my journey out. It was the Book of Abraham. Once I started researching it all sort of snowballed. I think it’s something that I had to discover on my own with God’s help. I don’t think I would have listened to a non Mormon tell me something was wrong with my religion. I too used to say that mantra that the church is perfect but the people aren’t. I also believed that I had more light and knowledge because I was fortunate to have born into the one true church. I may have listened to a Mormon sharing something from an LDS source, I’m not sure though. I think it had to be God showing me for me to listen. I guarantee there are still LDS out there that have no idea Joseph Smith was a polygamist and they certainly don’t know he was the one who started it. I learned it was Brigham and I learned it in church. I’m linking to a video from John Dehlin on why Mormons leave. See what he says about the issues that people aren’t aware of, this may help you. The big catalyst for me was also the book of abraham. I desperately wanted it to be true. And for awhile I rationalized it with the answers given by the apologists. But once you go deeper into it, you realize how much of a fraud it is. I am amazed that the church can still print joseph’s “translation” of the diagrams that are contained in the pearl of great price. Once you accept that the book of abraham is not the book of abraham, it becomes quite clear that everything else is a lie. Then eventually you start to see it all fall into place beginning with the seer stone all the way to now with Elder Holland lying on BBC television. Only recently have I become repulsed by polygamy, mainly through the research that has been presented here and on MRM and mormon think. It was no big deal to me when I was a TBM of the church. But once I got out and realized how conniving old Joe was.. only then did I become disgusted with the practice. Polygamy shines a bright light on Smith’s true character of deceit. It’s just hard to see it when you’re a TBM. You might want to go out on YouTube and look for video(s) by Lyndon Lamborn. What started him on his journey out is a friend at work casually mentioned the boo “Under the Banner of Heaven” by an author Lyndon liked. The guy told Lyndon simply that there were some interesting things about the LDS church in the book. Well Lyndon, a multi-generational Mormon started researching and that led him out. There was quite a stir made about the whole thing because the Bishop was going to announce Lyndon’s excommunication, from the pulpit. That got into the newspapers and there was some bad pub for the church. Unfortunately, the last I knew Lyndon was a sort of agnostic deist. He couldn’t make the walk across the bridge to Christianity mainly due to the bad taste that Mormonism left in his mouth. Here’s part one of seven. It’s about ten minutes long. It’s six years old but anyone questioning Mormonism would find his presentation interesting. I watch the videos of Lyndon Lamborn’s “testimony” and I wonder how a guy so sharp could go his entire life and not know the things that he eventually learned and led him out of the LDS church? He didn’t have the information. Once he obtained the information he had a few ways to go. He could ignore it, deny it, excuse it or believe what he learned and leave the “one true church”. It fascinates me; the decision making process and what leads some to one course of action and others to an entirely different (course of action). My guess is that’s why we have so many different classifications of Mormon believers. For some it’s probably just a lot easier to continue in the church than make waves by leaving. I can see what led Lyndon to leave. He just has way too much integrity to be able to rationalize what eventually became his conclusion that the LDS church and Mormonism aren’t true. Thanks all for the suggestions. I will take a look at the videos in the next few days. I think I was so surprised by Kate’s comment because, as someone who has never been in Mormonism and didn’t have that many LDS acquaintances until recently, polygamy was one of the main issues of the church I was familiar with, and I guess I always just assumed it started with Joseph Smith. I understand what you’re saying about a Mormon not being open to hearing criticism of their church from an “outsider,” even a friend. As I read through your responses I was struck again, as I have been many times when I visit this site, that conviction and conversion are God’s work and I need to be in prayer for my friends, spending more time in that than in pursuing information that they may or not be open to receiving. I hoped to hear some theories explaining the generation to generation transfer of doctrine in the Mormon cultural. It is a great study topic. BIC’s indoctrination is successful nearly 50% of the time. But, the process of convert indoctrination seems to be more complicated with less success. I think the requirement of compliance to authority succeeds in holding the church together for most adherents. Converts are dependent on the senior members for their new attitudes and understanding and are dealing with the trauma of isolation from their old world view. Most first generation converts never gain full understanding and confidence in official doctrine. I hear lots of fifth generation Mormon stories and very few first generation stories. Very little discussion takes place about doctrine, just snippets of opinion passed around, and nobody really does a systematic study. The most important issues of Mormonism are never identified or dealt with and conclusions are deferred to testimony or proclamations from experts. Mormonism is not about theology it is about family and culture! On my way home tonight I was thinking about our posters who are former Mormons and those who are currently in the LDS church. I was wondering what the difference is since if someone is on this site i.e. current LDS member, they have access to the same information that led those who left. I can understand staying to avoid the problems that might come with family and social relationships. I can’t understand staying and continuing to believe when the information and evidence has been received that the religion is a total farce. That I don’t get. I understand that there is a process, emotional and intellectual, that people have to go through as they uncover/discover this information. We’ve had several Mormons testify here that they were regular visitors to MC, were entrenched in the LDS church, could never see themselves leaving (the church) but over time they did just that. Andy Watson told me that he wished he had spent less time studying Mormonism and more time studying the Bible. I understand totally what he’s saying. God’s Word is truth and their is spiritual power there. That’s why the Bible is @nti Mormon literature. I thought I’d just do a quick search regarding the question I asked myself. This may be of help for some who find themselves questioning the LDS church itself or the belief system of Mormonism. In Christianity, a person enters into a personality with Jesus Christ through faith. A person is not required to be a member of any particular religious group/denomination. There isn’t a “one true church” that has exclusivity of the leaders hearing from God. There is no “one true church” that has the system that will lead to a particular outcome or reward. Faith in the Lord Jesus Christ is what is required for a person to be born again and enter into God’s presence when this life is over. OOPS, early in the morning. I meant to write “personal relationship with Jesus Christ not “personality”. I better have something to eat. I must have low blood sugar. call into question that their leaders are not really being directed by God to lead the church . That’s a huge hurdle to get over . It can happen and is being done by many Mormons today . to latter days prophets , such as those who head the Mormon church . I’ve heard a theme running through this post that I want to address. The theme is the point that LDS claim the church is correct but the people aren’t. I get what is being said, but I want to point out that Christians use a similar line: Christians are not perfect, but Christ’s message is. There are distinct differences here– namely that we can go to the Bible to get a clear understanding of Christ’s message, whereas LDS have to go through their church to understand what is perfect. Now, of course there is an assumption under this. We’ve talked about truth sources here, and if you believe the truth source to be perfect, the statement makes perfect sense. However, the difference listed above carries with it profound problems when put to the LDS definitions of its doctrine. As has been brought out many times here, the Church of Latter Day Saints has problems defining its doctrine even from one president to the next. What this means concerning perfection is that it is really hard to discern precisely what is perfect. If men aren’t perfect and supposedly the church is, but the church cannot define doctrine clearly and consistently, serious questions are raised as to even the church’s perfection. The church, by the way, is run by men. And as men change, so does the church. This is why having a single source of truth apart from men is important. The LDS, I would expect, might say this is found in their testimony, ie how god speaks directly to them. I would respond, however, by stating that each of us is a person and is therefore not perfect, and that each of us must interpret and discern whatever is being felt or perceived. This means that whatever message is out there can be mistaken. God does not lie. However, he is not the only spirit out there who can talk directly with us. This means we must be careful to balance any message sent to us against the truth source so that we can accurately discern what is God’s message with what is not God’s message. Failure to do so opens us up to deception by evil spirits. So, when LDS say that people are not perfect, but their church is, I warn them to really think through this mantra. And when Christians use it, I also urge the same. I think one ends up with a focus on Christ’s word, and the other ends up with divination from a group of men subject to mistake. Just finished watching the video Kate referenced, an LDS church leader named John Dehlin. I actually resonated with so much of what he said. From LDS friends I have learned how all-encompassing their religious community is and so his comments about what it is like for those questioning Mormonism to have their whole world rocked really hit home. Until the end, that is. I was not expecting his “answer” to the problem of those leaving the church or becoming inactive to be to focus less on truth and more on what has been a positive influence on your life. Heartbreaking to hear him say that the purpose of life is to help others. A good goal, but hardly the purpose of life. John’s brain has been scrambled by a lifetime in Mormonism. I don’t say that jokingly. My own mind is scrambled from being in Mormonism my whole life. Sorry, comment got posted early. To abandon that and just say “well, just be nice” is a Mormon cop out but it’s all they got because they are struggling to find a new truth to fill the status that Mormonism held for them.